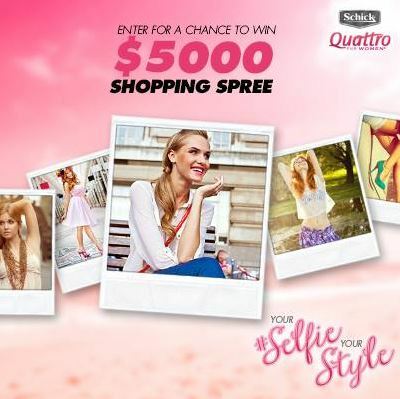 Win a $5000 Shopping Spree with the Schick Quattro Your #Selfie Your Style Contest! Schick Quattro for Women is celebrating stylish Canadian selfies in a Your #Selfie. Your Style contest! Don’t forget to like the Schick Quattro for Women Facebook page and follow @QFWCanada on Instagram!